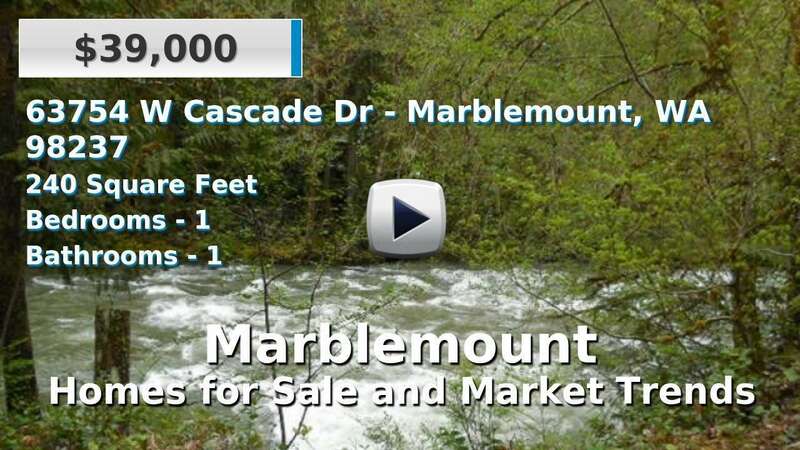 Marblemount is a census-designated place located on State Route 20 in Skagit County. Single-family homes for sale in the area range from established to newer and are typically found on large wooded lots to acreage, which may be on or have views of the river. The Skagit River borders the east side of Marblemount, while the North Cascades National Park wilderness borders the west. Helens Buttes North, Big Devil Peak, Marten Creek and Rockport State Park are also nearby outdoor recreational areas. 3 Beds | 2 Baths | 2224 sq. Ft.
1 Beds | 400 sq. Ft.
2 Beds | 1.5 Baths | 1050 sq. Ft.
2 Beds | 0.75 Baths | 448 sq. Ft.
2 Beds | 1.5 Baths | 3584 sq. Ft.
1 Beds | 0.5 Baths | 240 sq. Ft.
3 Beds | 1.75 Baths | 2408 sq. Ft.
1 Beds | 0.75 Baths | 575 sq. Ft.